31pp, illust. (b&w). Soft cover staple bound booklet. 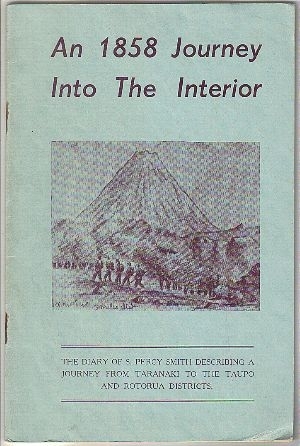 The diary of S. Percy Smith describing a journey from Taranaki to the Taupo and Rotorua Districts. Staples rusted, creased on one corner, ex libris bookplate inside cover, otherwise clean.